Occasional detox is highly recommended in order to cleanse your body of toxins. And why do you need to eliminate toxins from your system? It’s rather simple – eliminating toxins means preventing various health issues and even more serious diseases, as well as regaining energy, enhancing the immune system, and losing the excess weight. Detoxifying is removing impurities of the blood in your liver – the organ which processes them for elimination. The author of Healthy Healing’s Detoxification, Linda Page, N.D., Ph.D says we should include this healthy practice in our lives, since today, we are constantly surrounded and exposed to various harmful toxins from the environment. Some detox plans require excluding certain foods, drinks, or other things you consume (like cigarettes, drugs, etc. ), from your everyday life. This change in your lifestyle and diet can be temporary, or permanent. 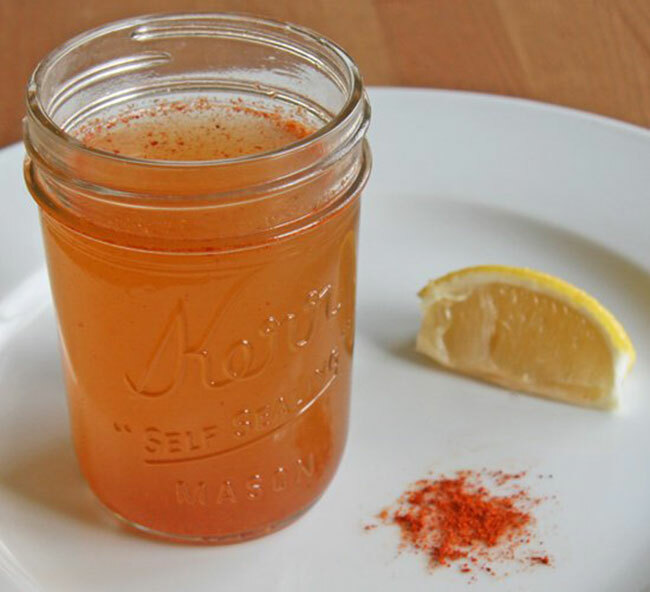 In this post, we offer you a simple cayenne pepper water detox that doesn’t require strict rules, like excluding your favorite foods and drinks from your diet, although to be honest limiting or avoiding harmful foods and beverages like processed foods, sodas, sugar, etc., will only improve your results. You just need to make a detox cayenne pepper water using several everyday ingredients, so beside effective, this recipe is very cheap. Take a look at the ingredients, method of preparation, and usage. In a larger bowl, or other container, pour the fresh water, and stir in the sea salt. Mix well until the salt dissolves, and add the cayenne pepper. Stir well, and that’s it. Your super simple, yet effective detox drink is ready! After preparing the detox solution, drink it within 2 hours. Do this body detox once in two weeks. The answer is everyone! Whether in this or another way, detoxifying your body is recommended at least once in a year. However, children, nursing mothers, tuberculosis and cancer patients, as well as those with chronic degenerative diseases shouldn’t skip detoxification. It’s always good to consult your doctor before choosing any detoxifying method.